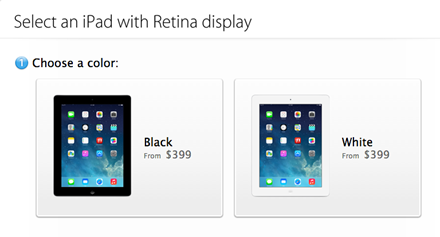 Apple has made available some refurbished models of the iPad 4 (or 4th gen) and iPad mini. These are being offered at between 6-10% off at the Apple online store. 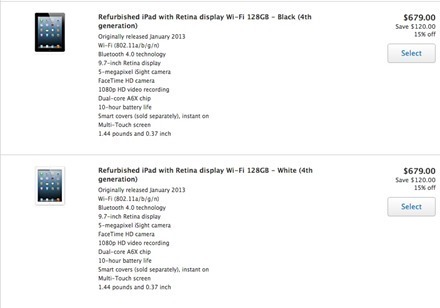 For iPad 4, there are 5 refurb models available – one WiFi only and four WiFi + Cellular models. 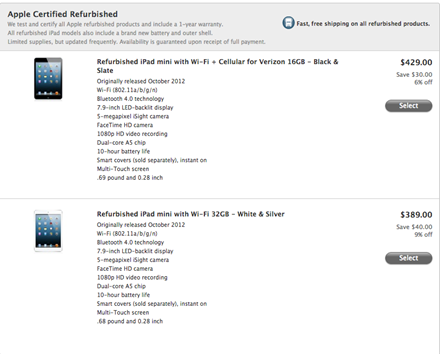 The iPad mini refurbished selection is much more limited, with just two models currently available – a 16GB WiFi + Cellular at $429 ($30 off) and a WiFi only 32GB for $389 ($40 off). If you know anyone in the market for an iPad 4 or iPad mini at a little bit of a discount these are good deals. Hat tip to everythingiCafe for sharing the news. Everybody loves a super slim iPad keyboard case right? Well, maybe not everyone – but iPad keyboard cases styled to look thoroughly ‘Apple-like’ or to make the iPad look a little but like a MacBook Air have certainly proved popular. Here’s one from a surprising source that looks very promising. It’s the ARCHOS Bluetooth Keyboard for iPad. ARCHOS are well-known and have a good reputation for making portable multimedia players – this new iPad accessory is the product of a new division in the company that’s focused on ‘sharing ARCHOS innovations with other brands’. 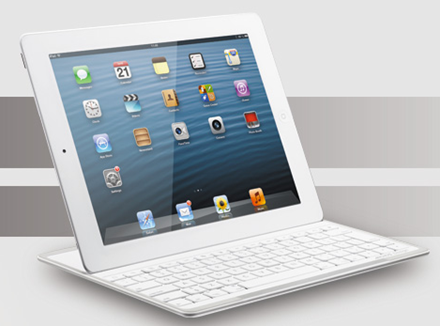 Oh, and it’s going to be priced at $79 – which is well below any iPad keyboard cover of this type that I’ve seen. It’s due out in March and I’m definitely looking to get hold of a review unit. You can see more detail on the new ARCHOS Bluetooth Keyboard for iPad at its product page on the ARCHOS site. ZAGG are going to be giving out free iPads all day on Black Friday. They’re giving away one free iPad 4 every hour starting at 12AM MST this Friday, November 23. They did this last year too and if I remember right you can keep on entering for a chance to win every hour. 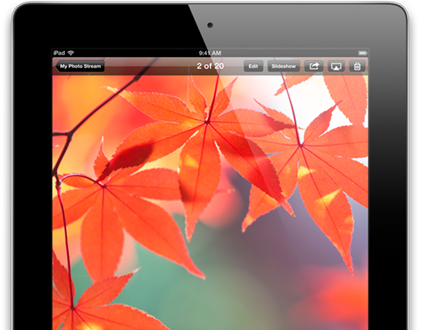 I don’t normally cover iPad giveaways here, but this one from ZAGG is pretty special, so I thought I’d share it. Check out the ZAGG promo page for the contest – you can enter your name and email address to get a reminder when the contest kicks off. There’s also a text number to use to get hourly reminders once the contest goes live. Apple has announced today that they sold 3 million iPads in the 3days of the launch weekend for the new iPad mini and iPad 4th generation, or iPad 4 – which is double the amount of WiFi only models sold during the comparable launch period for the iPad 3 back in March. That’s comparable of course because there are no WiFi + Cellular models available as yet for the iPad mini or iPad 4. 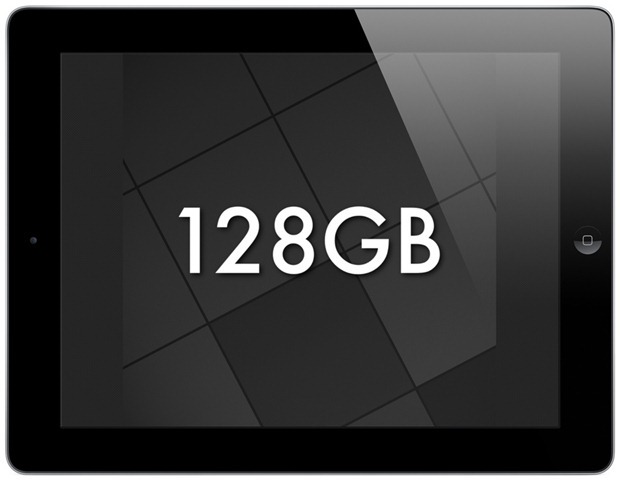 Apple didn’t provide any sort of breakdown on the sales totals for the iPad mini, iPad 4, or iPad 2 over these 3 days – but there are a number of reports around today, like this one, that noted analyst estimates that the iPad mini was sold out in 60% of US Apple stores this weekend – with the 16GB models being the most popular and the quickest to sell out. Given the shorter than average lines at many Apple stores early Friday morning, and a lot of people’s doubts about the iPad mini price point, it looks like it was a pretty damn good weekend for iPad mini sales and iPad sales in general. Just as another little point of comparison on these numbers, it’s only a few days back that reports of 1 million sales per month for the Nexus 7 tablet were noted as being a huge jump up for one of the flagship Android tablets. 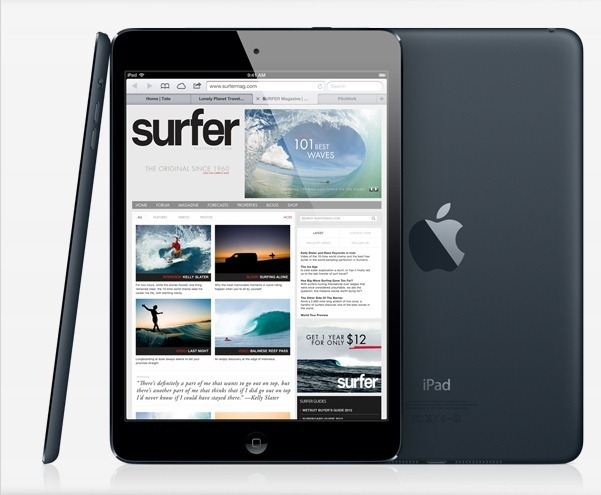 So how many of you dear readers bought a new iPad mini or iPad 4 this past weekend? 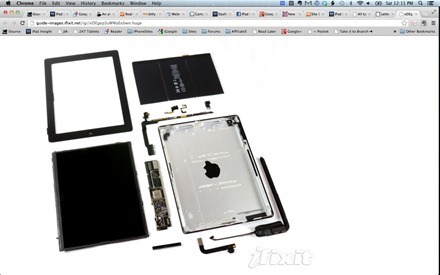 Those talented and fast-working folks at iFixit have completed their teardown (dissection) of the new iPad 4th gen, or iPad 4 – hot on the heels of their iPad mini teardown. * The battery is labeled with the same model number (A1389) as in the last round, so it’s no surprise that it’s another 3.7 V, 43 Whr package. Like the iPad 3, the battery is adhered very securely to the rear case. Since batteries are consumables that wear out, the trend of guled-in, hard-to-access batteries in iPads and other Apple devices is unfortunate. * We found a 1.2MP Facetime HD camera lurking inside, with the ability to shoot 720p HD video. That’s a big improvement from the .3MP Facetime camera in the iPad 3. Compared to the iPad 3, this camera is actually slightly thicker (an extra .4 mm), but it still manages to fit into the same space. Check out the full iPad 4 teardown for all the gory details. Pre-orders for the new iPad Mini and iPad 4 are set to begin on October 26 – and if Apple handles pre-orders the way they have in the recent past for their big mobile device launches then that should mean pre-orders will start at midnight Pacific time tonight. On recent launches of the iPad and iPhone two things that stood out on launch night are that Apple’s servers get slammed and many users find it difficult to get their orders in, and pre-order stock gets sold out fairly quickly. So if you’re planning to pre-order one of the new iPads tonight, you may need to start right at midnight Pacific and be ready to keep trying if it’s difficult to get pages to load and orders to complete. It may also be helpful to try the Apple Store app on your iPhone or iPad – that can sometimes be a faster way to get an order in. Prices for the iPad Mini start at $329 for the 16GB WiFi only model. 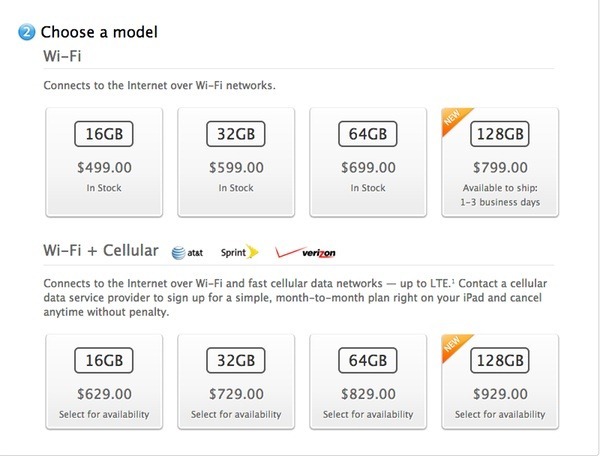 The iPad 4 starts at $499 for the WiFi only model. 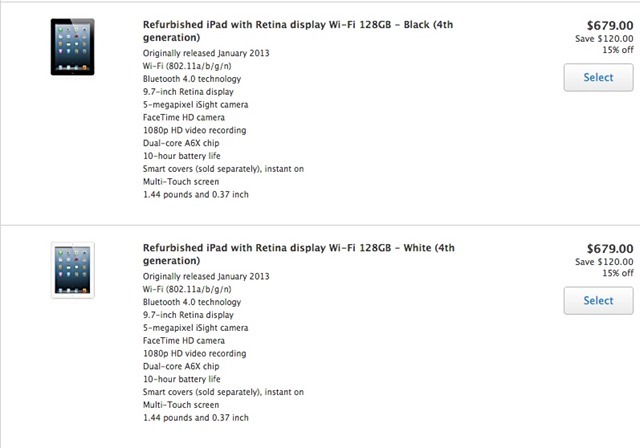 You can compare iPad specs, see prices for all the models, and get ready to pre-order at Apple’s Shop iPad page. I won’t be pre-ordering – as usual, I’ll be out in front of a local Apple store waiting in line at Crazy O’Clock on release day. 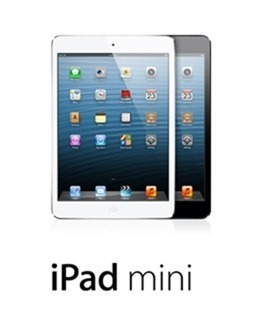 Are any of you pre-ordering either the iPad Mini or the iPad 4 tonight? If so, good luck.